City ordinances are intended to provide the standards necessary to enhance safety, quality of life and civic pride in Fremont Hills. The following is a summary of the ordinances, or laws, which have been approved by the Board of Aldermen. This summary is not an all-inclusive list of ordinances—we are providing you with a summary of those ordinances that pertain to you as a resident and homeowner. If you have any questions regarding City ordinances, please notify your Alderman or the City Clerk. Please check back with us as we are improving the site. A complete list of City Ordinances will be available in the near future (Partial List Shown Below). There shall be no access to the City of Fremont Hills from any property adjacent to the City, except for the two accesses onto Oakmont Drive that are in existence on the date of adoption of this resolution (10/15/01). No person shall keep any dog, cat or other animal, which by frequent howling, barking, baying or yelping, shall disturb the peace of the neighborhood. Nor shall any dog of a vicious nature or disposition be allowed to attack any person or animal or cause annoyance to the neighborhood or persons using the public streets, or chase, worry or molest livestock, other dogs, or children or cause any damage or injury. No household located within the City limits of the City of Fremont Hills, Missouri shall keep, harbor, own or possess any combination of more than four (4) dogs or cats, for any period exceeding 72 hours. In the event said animal(s) shall give birth while a pet, the homeowner shall have 120 days to comply with the number limitations of this ordinance. Dogs and cats at large prohibited. It shall be unlawful for any persons to cause, allow or permit a dog or cat to run at large. A dog or cat running at large shall be construed to mean any dog or cat not on the property of its owner or custodian, which is not secured by a leash or chain, or retained by an enclosure. The owner or custodian of any dog or cat running at large shall reimburse the City for the cost of apprehension and transfer of said dog or cat in addition to fines, penalties and costs for violation of this section. Dogs and cats–vaccinations and tags. It shall be unlawful for any person to own a dog or cat within the City until such person has the dog or cat vaccinated for rabies and secures a rabies vaccination certificate from any veterinarian who holds a current license from the state. Owners of dogs and cats shall also secure a tag of registration vaccination issued from such veterinarian which shall be displayed on the dog for which it was issued. Identification tags with the dog or cat’s name, owner’s name, address and phone number shall be attached to the collar or harness on dogs and cats. Basketball goals are acceptable if placed a minimum of 15 feet from the curb, are maintained in good condition, and are not attached to the home. The zoning code on building setbacks is amended to the minimum front yard setback being as provided in the applicable subdivision covenants and restrictions. If there is no front setback stated in the subdivision covenants and restrictions, it shall be 25 feet from the platted property line. All new home construction and exterior remodeling shall be approved by the City Planning and Zoning Commission (contact the City Clerk for information). The minimum back yard distance from the structure to the rear lot line shall be no less than twenty (20) feet except as provided in Article V, Section 1 of the planning and zoning codes. The minimum back yard distance from a fence enclosing a pool to the rear lot line for homes that back up to the golf course shall be no less than five (5) feet except as provided in Article V, Section I. 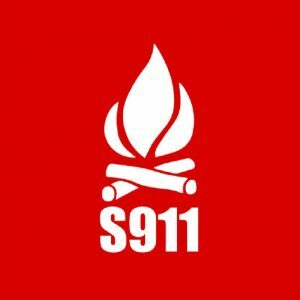 All outdoor burning within the City limits is prohibited. This includes, but is not limited to, the outdoor burning of leaves, trash, limbs, yard waste, building materials, and any other flammable matter. This ordinance does not apply to or prohibit the ordinary and customary use of indoor or outdoor fireplaces, stoves, chimineas, and firepits. No person shall drive or move any vehicle within the City which carries into or deposits in any public street or in any other public place of the City, mud, dirt, sticky substances, litter or foreign matter of any kind, and if any person shall so deposit or carry onto the street or other public places any such substances, it shall be the duty of such person to remove such substances from the public way immediately. No external broadcast receiving antennas, no multiple microwave distribution systems (receiving antennas), and no direct broadcast television (satellite dishes) or internet dish shall be permitted if larger than 39″ in diameter, unless existing at the date this code section is enacted. Homes are limited to two (2) antennas (either satellite television or internet dishes). 1.) The antenna may not be mounted on the front of the house or in the front yard. 3.) The antenna may be mounted to the roof as long as it can not be seen from the front of the house at street level. 4.) No antennas may be mounted on a pole in the yard unless signal can’t be obtained otherwise, and prior approval from City Project Manager as to location of the pole. No fence or wall shall be constructed, erected, commenced, maintained, altered or extended on any property located within the City without the approval of the Design Review Committee of the Planning and Zoning Commission. Fences shall be permitted on: 1) the west side yard of Lot #27/8th Addition, on the south side of Pleasant Valley Drive, 2) the back yards only on the south side of Pleasant Valley Drive from 3506 to 3508 and 3706 to 3712 Pleasant Valley Drive. Note: invisible pet fences are approved for use. Properties with private swimming pools are required to have fencing as regulated by the Design Review Committee. These pool enclosures shall: (a) be constructed, erected and maintained in accordance with the BOCA National Building Code, (b) require a plan of the enclosure, including a drawing with dimensions and material to be used, be submitted to the Board of Aldermen for review, approval or rejection prior to construction, (c) be subject to setback requirement of at least five feet. Fences shall be permitted on lots that have backyards that border the external City limit boundary for the City of Fremont Hills subject to the approval of the fence application made to the Design Review Committee. The new fence must be black in color; have a height of 54 inches; be made of steel or aluminum; the fence shall extend from the back corner of the house to the side property line and then along the property line back to the rear property line and across the rear property line (i.e. the City of Fremont Hills’ boundary); and the fence design shall match (as close as possible) the design of the City fence along CC Highway. Fencing shall be prohibited on lots that do not border the external City limit boundary for the City of Fremont Hills except fences around swimming pools or as permitted by other provisions of City ordinances. It shall be unlawful for any person within the City of Fremont Hills, Missouri to discharge or cause to be discharged, ignited, fired, or otherwise set in action within the City limits of the City of Fremont Hills, Missouri any fireworks, firecrackers, bottle rockets, sparklers, torpedoes, roman candles, fire balloons, squibs, snakes, spit-devils or other fireworks or substances of any combination whatsoever designed or intended for pyrotechnical use, as defined by pertinent state statutes, as considered class “C” or “B” explosives by the regulation of the United States Department of Transportation. Garage sales shall be defined as all general sales open to the public, conducted from or on a residential premise in any residential zone, as defined by the zoning ordinance, for the purpose of disposing of personal property, including, but not limited to, all sales entitled “garage”, “lawn”, “yard”, “attic”, “porch”, “room”, “backyard”, “patio”, “flea market” and “rummage sale”. This definition shall not include auctions conducted by professional auctioneers. No resident shall conduct or hold more than two (2) garage sales per calendar year, each sale shall not be more than two (2) days in length, shall be held only on a Friday and/or Saturday, and shall not be held on consecutive weekends. Garage Sale Signage. It shall be unlawful to erect or maintain any signs in violation of this paragraph. Any signs used shall be erected not sooner than one (1) day prior to the date of the sale and signs shall be removed at the end of the last day upon which the sale is held. Each sign shall indicate the beginning date of the sale and the ending date of the sale as well as the sale address. There shall be no more than a maximum of three (3) signs advertising any one (1) garage sale. The only exception would be for signs advertising an annual “neighborhood” garage sale. Signs shall comply with the City’s sign ordinance. It shall be the duty of any person constructing any improvements or excavating any land in the City which occurs within 100 feet of a City street and requires excavation of an area of 500 square feet or more to obtain from the City a permit for construction or excavation prior to commencing work. It is hereby declared to be a nuisance and unlawful for any person to allow dirt, mud, rock, gravel, trash, construction materials or other debris to be deposited on City streets. This provision applies to any such debris deposited on City streets by any vehicle, machinery, construction/excavation activities, and to all debris deposited by natural means (such as wind, snow or rain) where debris is not removed from City streets within 24 hours after it is deposited. It shall be the duty of the owner of the land where construction or excavation activities are performed to pay for the cost of removing said debris or to reimburse the City for any costs incurred by the City in providing such removal services. A trash container must be placed on site as soon as appropriate so that all paper cups, fast food containers, insulation, cardboard, debris, and other trash can be contained and not be allowed to be blown or scattered around the City. A hose bib and electricity shall be installed at the site of the construction so that it is not necessary to request water and electricity from neighboring landowners. A portable toilet must be placed on site from the time construction commences until completion. Where required, bales shall be placed around the construction site perimeter in order to prevent water flow from the lot. No burning shall take place on the premises of the construction site. This includes the burning of lumber, trash or garbage. No renovation project shall last longer than 6 months. Whenever in this Code or any other ordinance of the City, or in any rule, regulation, notice or order promulgated by any officer or agency of the City under authority duly vested in him/her or it, any act is prohibited or is declared to be unlawful or an offense or misdemeanor or the doing of any act is required or the failure to do any act is declared to be unlawful or an offense or a misdemeanor, and no specific penalty is provided for the violation thereof, upon conviction of a violation of any such provision of this Code or any such ordinance, rule, regulation, notice or order, the violator shall be punished by a fine not exceeding $500 and costs or by imprisonment in the County Jail not exceeding 90 days, or by both such fine and imprisonment; provided that in any case wherein the penalty for an offense is fixed by a Statute of the State the statutory penalty, shall be imposed for such offense, except that imprisonment may be in the Workhouse instead of the County Jail. No person shall drive or operate a golf cart, “go-cart”, motor scooter or other vehicle not requiring Missouri vehicle identification plate (license plates) upon the streets or other public thoroughfares of the City unless such person has in their possession a valid Missouri vehicle operators license. An exception to this ordinance is the operation of a golf cart in clearly defined lanes for the purpose of moving directly from one part of the golf course to another so long as the operator complies with the rules and regulations established from time to time by the Fremont Hills Country Club or its successor in interest. As a safety measure, lights and/or reflective material should be on each golf cart. It shall be unlawful for the owner, lessee or agent of an undeveloped lot in the City of Fremont Hills to allow weeds, brush or rank vegetation, exclusive of ornamental shrubs or cultivated flowers and gardens, to attain a height greater than 12 inches on such land or lot (the only exception to this section would be those parcels of land zoned agricultural). It shall be unlawful for the owner, lessee or agent of a developed lot in the City of Fremont Hills to allow grass to attain a height greater than 8 inches. This ordinance prohibits unreasonably loud and raucous noise from the premises of any residences, commercial establishment, or private club, including any outdoor area which is part thereof, between the hours of 10:30 PM and 7:00 AM which is plainly audible at a distance of 100 ft. or more from a residential property and 100 ft. or more from the source of the noise. Examples of noises exempt from this ordinance are those associated with: sirens, etc. lawfully used by emergency vehicles, or other alarm systems used in emergency situations; lawn and golf course maintenance, repair or construction work; construction, maintenance or repair work on any street, building, structures or landscaping provided such work is performed in a reasonable manner and during regular working hours (7 AM to 7 PM); and such other exceptions as may, for good and sufficient cause, be granted from time to time by the Board of Aldermen of the City. With the exception of construction vehicles, no person shall park any vehicle on the streets of the City during the hours of 6:00 AM to 9:00 AM or 3:00 PM to 6:00 PM on Monday through Friday, or midnight to 6 AM every day of the week, including Saturday and Sunday. All City streets are designated “snow routes”. No person other than construction vehicles shall park any vehicle on the streets of the City during the period of December 15 through March 31 of the following year. Any vehicle so unlawfully parked during such period shall be towed at the owner’s expense. No person shall park any vehicle in a yard, off surfaced driveways, at any location within the City, except at construction sites if allowed by recorded subdivision restrictions. No trucks or vans permitted, except ¾ ton or less. No inoperable vehicles except inside closed garages. No commercial vehicles, motor homes, mobile homes, trailers of any type, boats, ATV’s, or jet skis may be parked or kept on the exterior premises or driveway of any residence for a period exceeding 48 cumulative hours during a one week period. Boats, smaller trailers and smaller RV’s may be kept inside a closed garage. 2. The provisions of Section 1 above do not apply to any government or emergency services vehicle which is temporarily parked on the exterior premises or driveway of a residence. Above-ground swimming pools are prohibited. The term “above-ground swimming pool” shall mean a structure or facility for swimming or bathing purposes whereby at least 25%, or more, of the total circumference or perimeter of the upper edge of the pool is above the natural grade of the immediately adjacent land as it existed before construction of the pool (example: in the case of a pool 200 ft. in circumference, at least 150 ft. of the perimeter edge of the pool must be even with or below the natural grade, and 50 ft. or less of the perimeter edge of the pool may be above grade, in order not to be a prohibited above-ground pool), or a pool which is portable and not permanently and completely attached to the land. Excluded from the prohibitions contained in this ordinance are hot tubs, jacuzzi tubs, spa-type tubs and baby/kiddie pools (i.e. pools less than 8’ in diameter or width, less than 3’ in depth, with no pump or filtration system and which are readily moveable). No commercial vehicles, motor homes, mobile homes, trailers of any type, boats or smaller type trailers may be kept on the premises, except boats and smaller type trailers may be kept inside a closed garage. Motor homes may be staged temporarily for a period not to exceed 24 hours. No cows, horses or other animals or poultry, domestic or exotic shall be raised, bred, or kept on any lot, except dogs, cats or other household pets may be kept provided they are not kept, bred, or maintained for commercial purposes. No detached out buildings permitted. No building or lot within any district zoned single family shall be used as rental or leased property as defined in the Planning and Zoning Codes. The roof of the dwelling erected on any lot shall be wood shingle, cement tile, clay tile, slate or a 50-year warranty, 100 mph wind-rated, architecturally-designed composite shingle, or comparable material. The use of any composite or comparable roofing material must be approved by the Design Review Committee. Minimum roof pitch allowable is 8.5 for wood shingles. Tile roofs, or roofs of other materials, can be a lower pitch. Exterior paint colors must be approved by the Design Review Committee. The City is authorized to impose a local use tax at a rate equal to the rate of the local sales tax in effect in the City (the current local sales tax is 1%). A copy of this ordinance is given to homeowners at the time of construction—this ordinance goes into great detail on the installation and connection of sewers into the public sewer system as we wish to maintain the integrity of our system. There shall be two classes of building sewer permits; (a) for residential and commercial services, and (b) for service to establishments producing industrial wastes. In either case, the owner or his agent shall make application on a special form furnished by the City. The permit application shall be considered by the inspector and upon approval by the inspector a permit shall be issued. A permit and inspection fee of $1,800 for a residential sewer permit and $5,000 for an industrial or commercial building sewer permit shall be paid to the City at the time application is filed. The construction and maintenance of billboards or advertising boards or structures is prohibited except on premise signs or billboards advertising the rental or sale of that property are permitted, provided they do not exceed 5 sf. in area. Directional or notification signs not exceeding 5 sf. in area may be displayed within the City rights-of-way for a period not to exceed 48 hours. A detached building used exclusively for residential purposes, having suitable accommodations for only one family. A family is defined as one or more persons related by blood, marriage, or adoption, living together as a single housekeeping unit, or a group of not more than four unrelated persons living together as a single housekeeping unit; plus in either case, usual domestic employees. A family shall under no circumstances be construed as a boarding house, club, sorority or fraternity house, lodging house, hotel, motel or commune. Panels (Collectors) shall read: Solar energy panels (collectors) are defined as a device or combination of devices, structures, or parts thereof, that collect, transfer or transform direct or solar radiant energy into thermal, chemical, or electrical energy and that contribute to a home’s (structure’s) energy supply. Solar energy panels are only permitted to be roof mounted in a location not visual from the front street level (mounted on the rear roof of home or structure). The panel cannot change the roof line and must be positioned to prevent glare on other structures in the area. Panels must be flush with the roof and cannot extend more than 8 inches above the surface. The total number of panels is limited to eight panels or a maximum surface area of 256 square feet. That this ordinance shall be in full force and effect from and after its passage. It shall be unlawful for any person to engage in the business of peddler or solicitor within the corporate limits of the City, except for not-for-profit entities, which may obtain permission from the City Clerk for engaging in such practice. No tanks for the storage of oil or other fluids may be maintained above ground unless: 1) the tank is immediately and totally concealed from view, 2) the size such tank is a maximum capacity of 100 gallons or less. A temporary storage container, meaning any storage container with a volume of six (6) cubic yards or larger which is used or intended for use as temporary storage, shall be situated outdoors on residential or commercial property for a period of no more than seven (7) consecutive days. Any such container shall be removed at the end of the seventh day. No resident or commercial business owner or operator shall place more than one such temporary storage container on its property at any time. The contents of the temporary storage container and the location of its placement on residential or commercial property shall be such that the health, safety and general welfare of property owners in the immediate area is not compromised. It shall be unlawful for any person to cause, allow or permit any trash, yard waste, leaves, sticks, limbs, dirt, rocks, lumber, construction materials or any other debris to remain on a lot (developed or undeveloped) located within the City for more than ten days. Such piles of trash or debris are hereby declared to be, and are, nuisances within the City of Fremont Hills. Any person causing, allowing or permitting such nuisance shall be punished by a fine in the amount of $200 for the first violation; $300 for the second violation; and $500 for each subsequent violation. Containers used for the purpose of disposing of solid waste, yard waste and recyclables may be placed at the curb either after dusk the day before pickup services are provided, or on the day when pickup services are provided. Containers used for the purpose of disposing of solid waste and recyclables for residents and commercial businesses must be stored such that they are totally concealed from view when not permitted to be at the curb. Containers used for the purpose of yard waste must be stored such that they are totally concealed from street view when not permitted to be at the curb. On days when solid waste, yard waste and recyclable pickup services are provided, the container, or containers used that day are to be returned to concealed storage no later than the end of the pickup day. The only exception to this ordinance is construction waste; containers which are required to be on the job site at all times for the disposal of construction waste. This is a detailed ordinance that defines defective buildings and declares them to be “unsafe buildings” and a nuisance. Drilling of individual or shared water wells in the City of Fremont Hills poses a substantial risk to water quality; therefore, the drilling of individual or shared wells for the purpose of providing water is prohibited. This ordinance shall not apply to wells that are drilled for the purpose of ground source heat systems, provided that such wells shall not be used for the purpose of obtaining water. This ordinance shall not apply to water wells that have been drilled or placed into service prior to the date of this ordinance. Wind energy systems are defined as wind energy conversion systems consisting of a wind turbine, a tower, and associated control or conversion electronics. The installation, erection, or use of a wind energy system, wind turbine or associated towers for wind energy conversion is prohibited. The Board adopted, approved and implemented zoning codes, subdivision regulations and a comprehensive plan under the direction of the Planning and Zoning Commission. The Planning and Zoning codes, subdivision regulations and comprehensive plan are on file with the City Office at 8406 Interlochen Drive. Landscaping, at a minimum, will consist of foundation plantings (a combination of trees and shrubs) along the front of the home, if a home is located on a corner lot, then the plantings shall also continue to the side yard of the home that is parallel to the street. For safety reasons, landscaping shall be installed so as not to interfere with the line of sight at intersections or driveways. Landscaping shall be installed so as not to interfere with the operation or visibility of a fire hydrant, a sewer manhole or a water meter. When existing foundation plantings are removed, landscaping must be replaced within 60 days. An irrigation system is mandatory in the front yard, side yards and back yard. Backflow testing must be performed by a certified technician, with the backflow testing report sent to the owner of the public water system. Any dead trees or shrubbery must be removed within 60 days. If such trees or shrubbery are considered hazardous or dangerous to the public, then they are to be removed within 10 days. During the time frame of October 1 through January 31, fallen leaves are to be bagged or mulched a minimum of at least once every 30 days. Under no circumstances are leaves, grass clippings, and other vegetation to be intentionally placed in the street or down a storm water inlet box. The foliage and branches of all trees, shrubbery, bushes and vegetation shall be kept trimmed so as to provide a clear passage of vehicles on public right-of-way. Any plantings, whether placed at a foundation or in a berm or flower garden, shall be maintained and kept free of weeds and any unsightly vegetation. Weedeating is a part of regular lawn maintenance–grass is not permitted to grow over the curb or along any foundation, wall, flower garden, etc. Whenever turf is disturbed, sod or seeding (depending on requirementsof the covenants and restrictions), shall be in place within 30 days of turf being disturbed. The foliage and branches of all trees, shrubbery, bushes and vegetation shall be kept trimmed so as to provide a clear passage of vehicles on public right-of-way. Any dead trees or limbs that are deemed to be a safety hazard and dangerous to the public must be removed within 10 days. Property shall be declared a nuisance upon notification to the property owner that they are in violation of the landscaping guidelines ordinance. The property owner will have 10 days in which to come into compliance, said owner shall be held liable. Should the property owner take no action within the ten (10) day abatement notice period, the City shall issue a special tax bill against the property and the costs, after being certified, shall be a first lien on the property until paid. The City Clerk shall deliver the special tax bill to the collector.